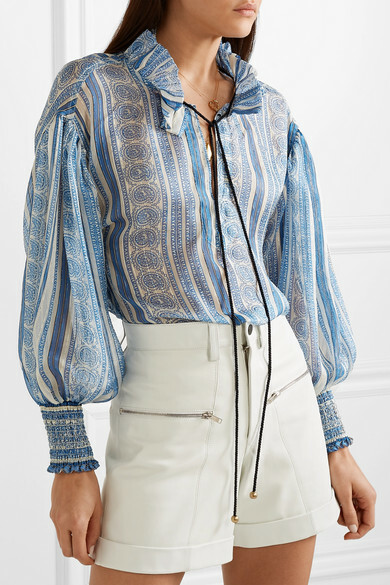 '70s bohemian styles are a main source of inspiration for Lorenzo Serafini, which explains why each piece has such an effortless, carefree feel. 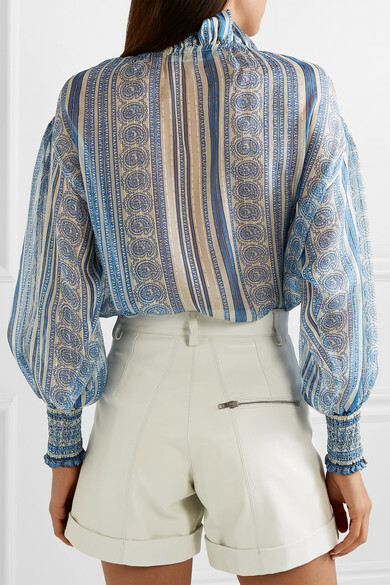 Made from airy silk-voile printed with swirling paisley motifs, this blouse is woven with shimmering gold threads and has a ruffled neckline and elasticated cuffs that accentuate the billowing blouson sleeves. 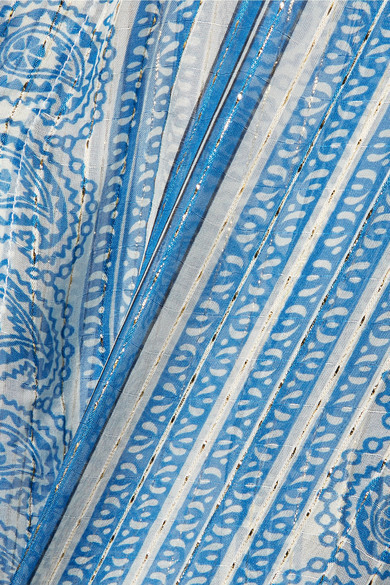 Wear it on balmy summer days, leaving the metal-tipped ties undone. Shown here with: Isabel Marant Shorts, Rosantica Clutch, ATP Atelier Sandals, Alighieri Necklace, Alighieri Necklace.